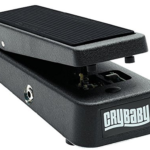 Dunlop GCB95 Crybaby Wah Pedal Review - Best Wah For Funk? From Jimi Hendrix to David Gilmour, all major rock stars of the 80s made use of the Dunlop GCb95. The GCb95 was the first guitar pedal by Dunlop to create the signature wacka-wacka funky sound. Below is an honest Dunlop GCb95 review exploring the good and the bad of the cry baby original. Dunlop Manufacturing Inc. designed the first GCb95 pedal in the late 1980s. This funk rhythm pedal was an exact replica of the VOX V847 created by Thomas organ Company & Vox. Thomas Organ were the pioneers of Wah-wah guitar pedals. Unfortunately, they failed to patent their technology and the ‘Wah-wah’ signature name. This resulted to several replicas flooding the market by the time the sales were picking on the V847. 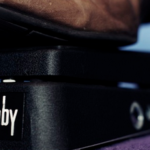 Dunlop made greater improvements on their wah-wah pedal before launching it. The Dunlop GCb95 guitar pedal became the first of its kind to produce crispier funky rhythms. Additionally, it did not distort the original guitar tones. The Dunlop cry baby original has a heavy duty construction. It measures 2.5inches x 4inches x 0.5inches and weighs 3.7lbs. 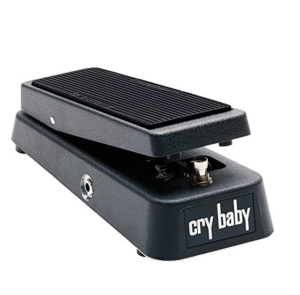 All cry baby original models powered up using 9v batteries or an ECB-003 AC adapter. Inside the heavy duty construction is a circuit setup branching into four compartments. These four blocks consist of a power supply circuit, an input buffer, an output stage, and an active filter. The Thomas Organ Company used a similar setup to create the VOX V847. The only problem with the VOX guitar pedal is that it had a glitch in tonal variation. This was a result of low input impedance on the guitar pedal. Dunlop found a way to correct the low input impedance issue by raising the input voltage. on the cry baby original. Ohmic resistance on the Dunlop Cry Baby reduced from 510 Ω to 390 Ω on the R4 band, and 100KΩ to 82KΩ on the R8 band. The result was a boost in input impedance by 1MΩ. In the beginning, the Dunlop Cry Baby had a black inductor on its circuit. This design remained until 2003 when Dunlop switched to red Fasel inductors. The black inductor is still available on the market as a separate accessory. In 2016, Dunlop redesigned the Cry Baby original to boost its ergonomics. Dunlop made some tweaks on the battery compartment to make it more ergonomic. This made it easier to change batteries without interfering with the rubber footing. Additionally, Dunlop introduced a universal power jack cable. This new cable allows you to plug the GCb95 to any power outlet. A last improvement was on the bypass switch. This change helped correct loss in tone. There is only one downside of the GCb95 guitar pedal according to music enthusiasts. It lacks LED lighting to demarcate the controls on the pedal. This means it gets a little hard trying to see what switch you are stepping on while performing in a dark venue. The Dunlop GCb95 is an ideal addition for the guitarist who enjoys solo performances. It will give you a funky wacka-wacka sound that fits into any concert performance. With a boost in impedance by 1MΩ, guitar enthusiasts no longer have to worry about distorted tones. Replacing your batteries takes seconds without having to dismantle the rubber footing. Additionally, the power jack is also designed to fit into all PSU. You do not have to carry several power adapters to your performances. 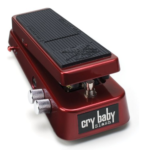 The one thing that is lacking on the Dunlop Cry Baby pedal is a back lighting. If you do not mind the slight squint in the dark, this Dunlop wah guitar pedal is a perfect addition to your pedal board. It gives you the rich funky sounds played by legends like Jimi Hendrix and Eric Clapton.